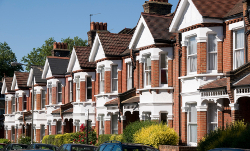 Research performed by Search Flow predicts that there will be growth in conveyancing work this year. Last year, 75% of Conveyancers experienced at least a 10% growth in their work, and 41% of them saw a work increase of 25% or more. Because of this, 52% of Conveyancers are looking to increase their workforce over the coming year. This is good news for Legal Secretaries Diploma graduates or experienced Legal Secretaries with Conveyancing skills. Take a look at this interesting infographic about the future growth of Conveyancing which has been produced by Redbrick Solutions.